Make something extra special with these succulent slow cooked pulled pork nachos. 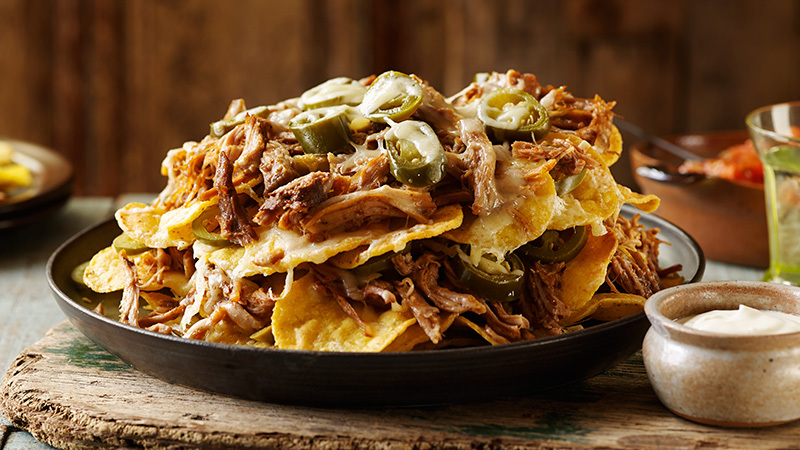 This delicious recipe may take a bit longer to make, it is well worth it once you taste the slow cooked pulled pork with nachos.It’s topped off with warm melted cheese and hot jalapeno peppers. Perfect for a party shared with close friends and family. Lightly grease slow cooker with cooking spray and trim pork shoulder of any excess fat. Mix the oil with the seasoning mix, and carefully brush all over the meat. Cook on high heat for 4-5 hours, or low heat for 8 to 9 hours, until tender. Remove from slow cooker and with 2 forks shred the meat. To make the nachos, pre-heat the oven to 190°C and lightly grease a baking dish. 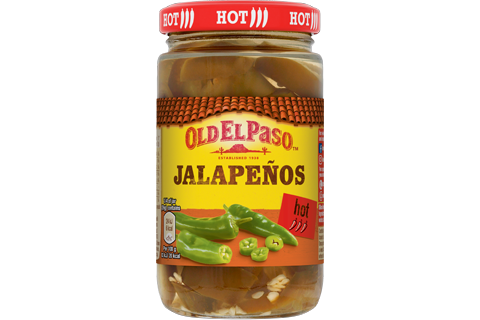 Spread half of the Nachips™ evenly across the dish and layer on top half of the pulled pork, jalapenos and cheese. Repeat and then place into the oven. Bake for 9-10 minutes or until the cheese is melted. Place on heat proof mat and get stuck in with friends and family. 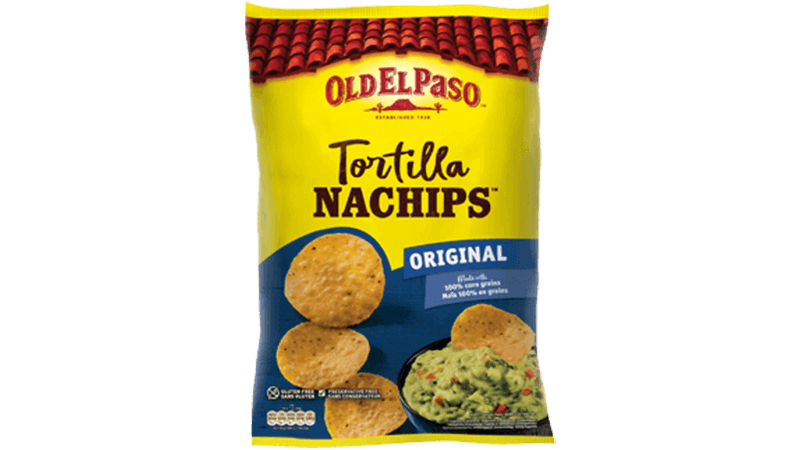 This dish is great served with Old El Paso™ Cool Soured Cream Topping, Thick ‘n’ Chunky Salsa and Chunky Guacamole.